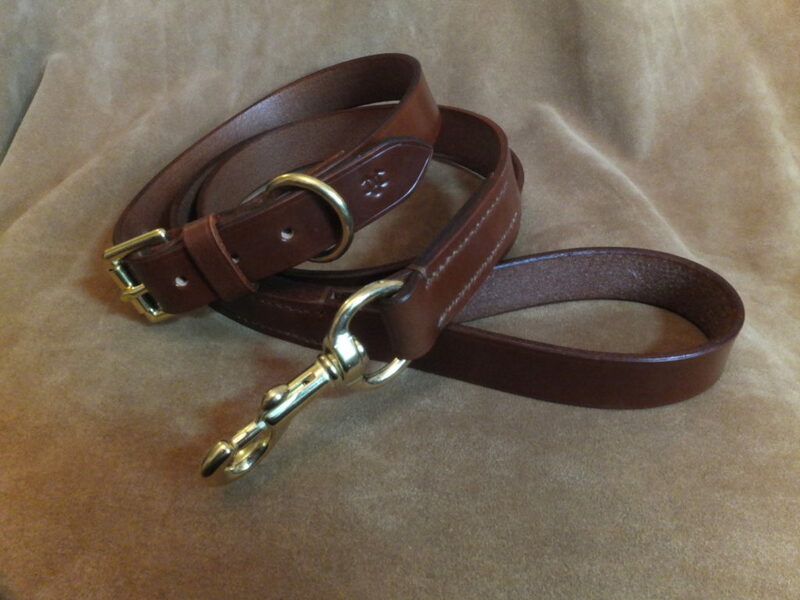 A dog collar with style and quality. 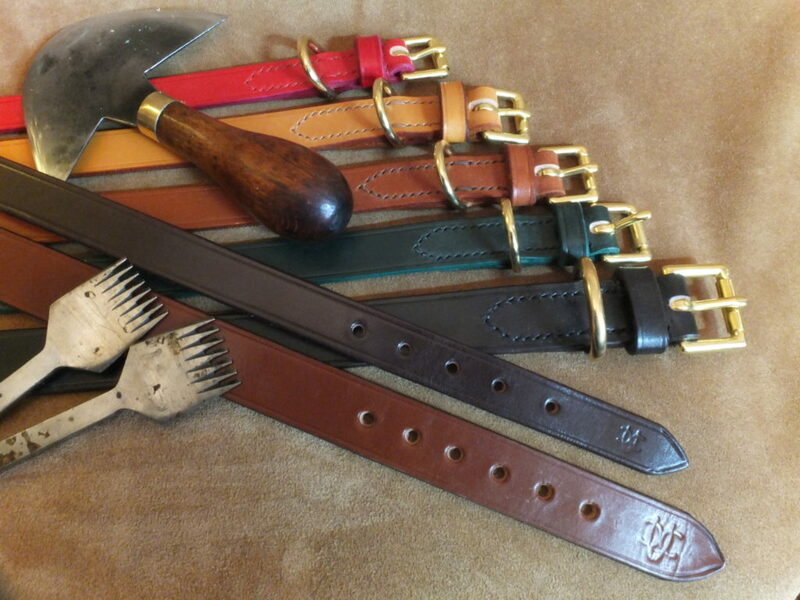 A traditional range of leather dog collars. 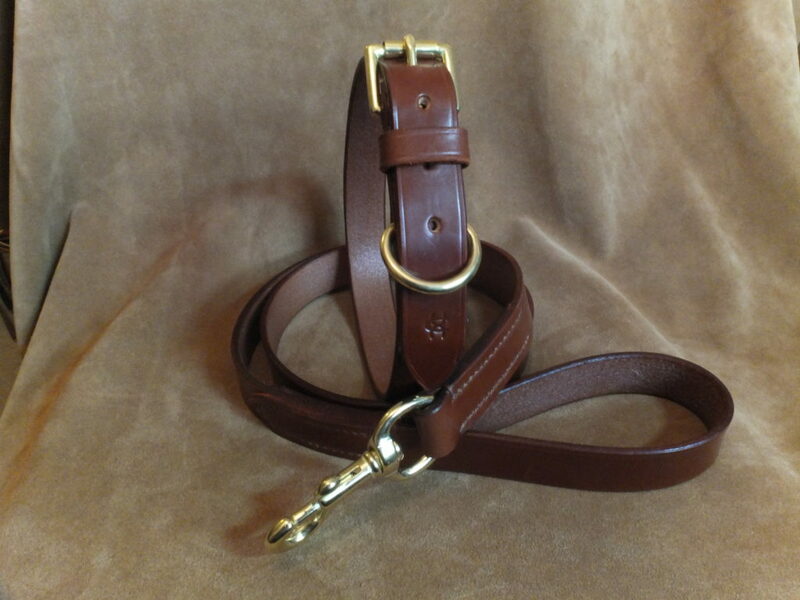 Handmade from the best J & E Sedgwicks English bridle leather , designed with strength, durability and longevity in mind.Suitable for everyday use and working dogs too. These leather dog collars are created and handmade here in the UK in my workshop,cut from the leather hide,the edges are bevelled and dyed and then the items are hand stitched and finished. 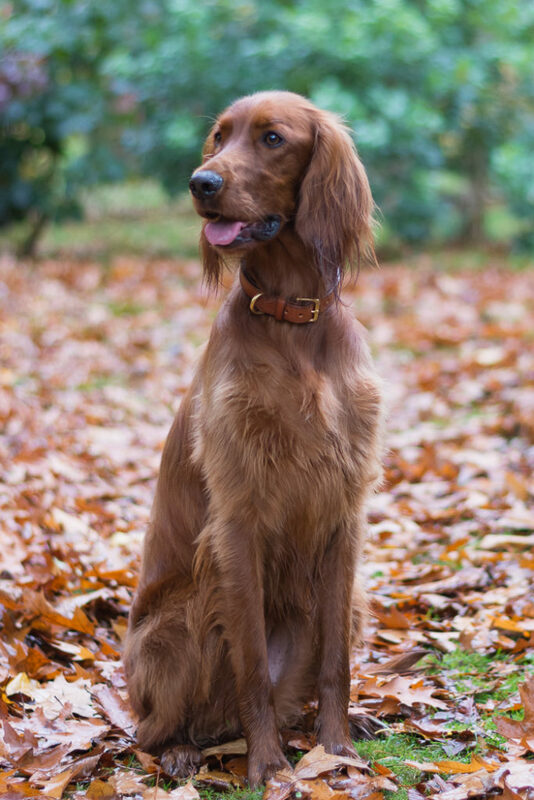 To give you a stylish,quality dog collar that will last for years to come. Available in four widths and a range of colours. Matching leads are available in a variety of widths,lengths and styles.